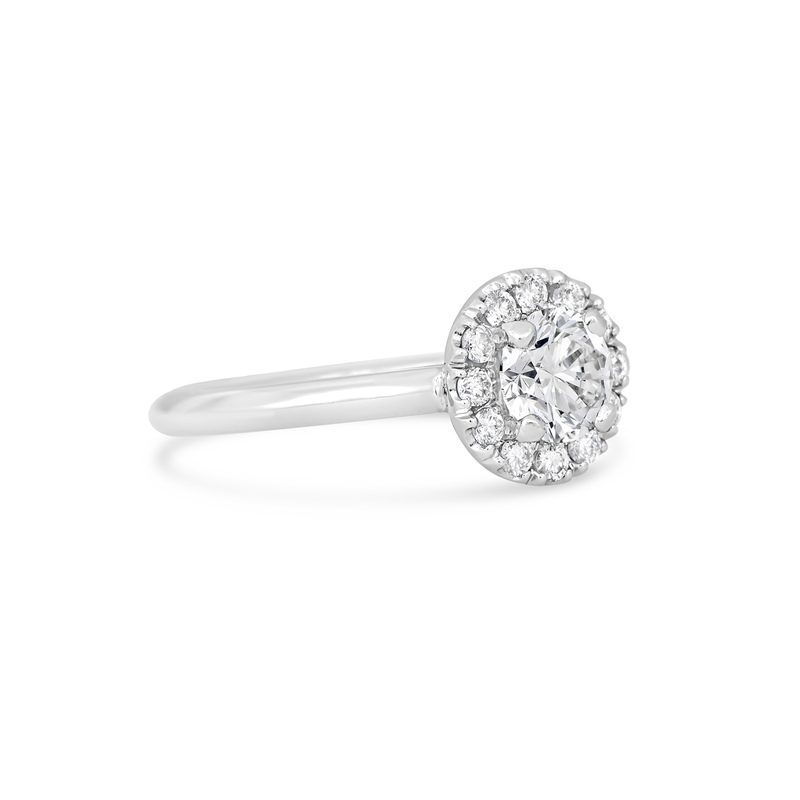 Round Halo Diamond Ring featuring smaller halo diamonds set in a shared prong, or “castle” setting. 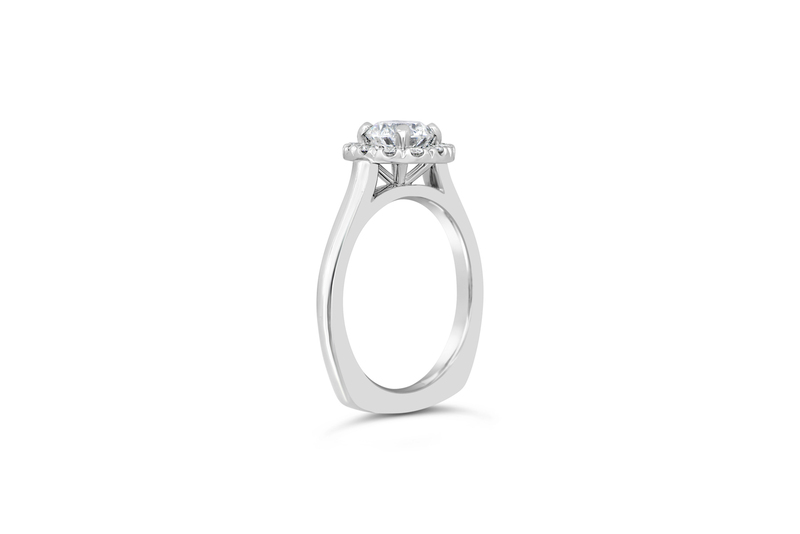 This type of accent setting allows for the diamonds to be shown off the most by showing the full diamond profile from the side. 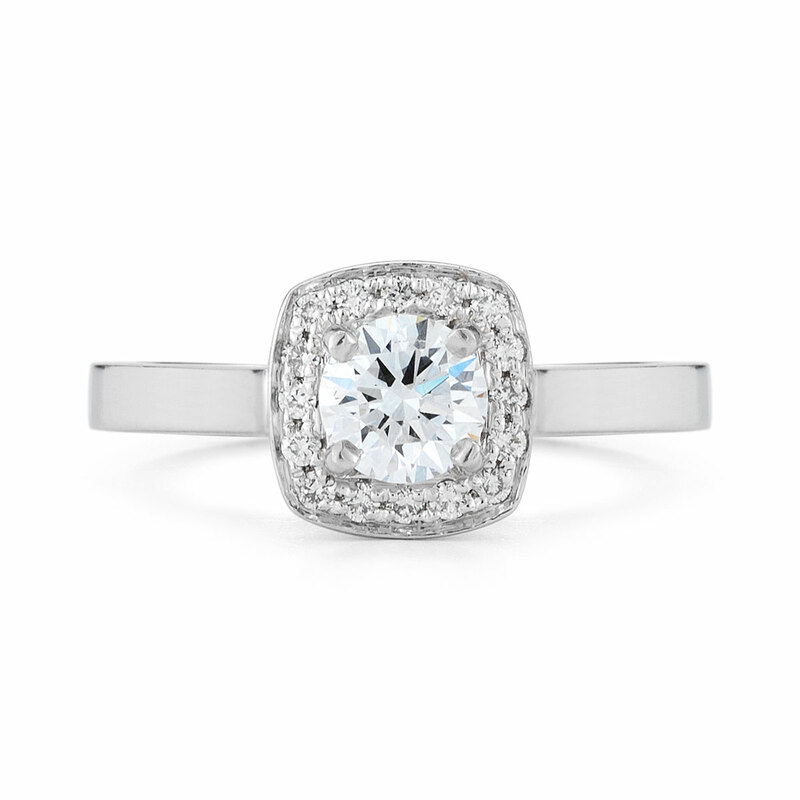 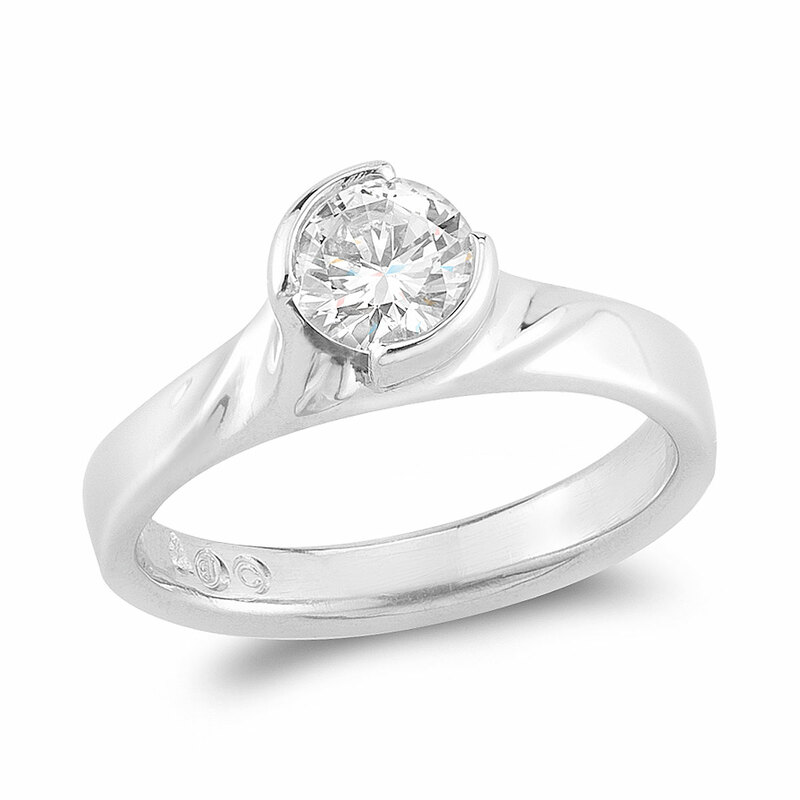 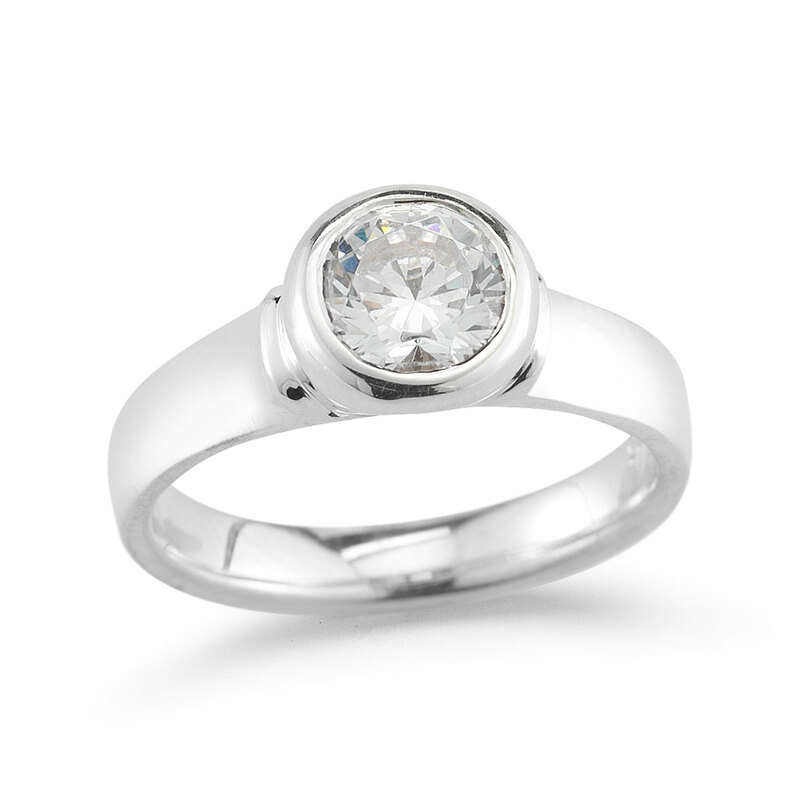 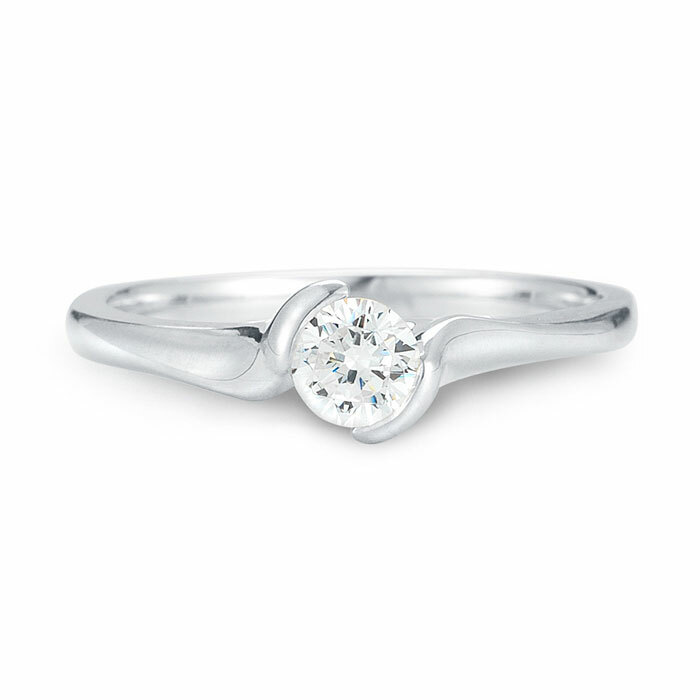 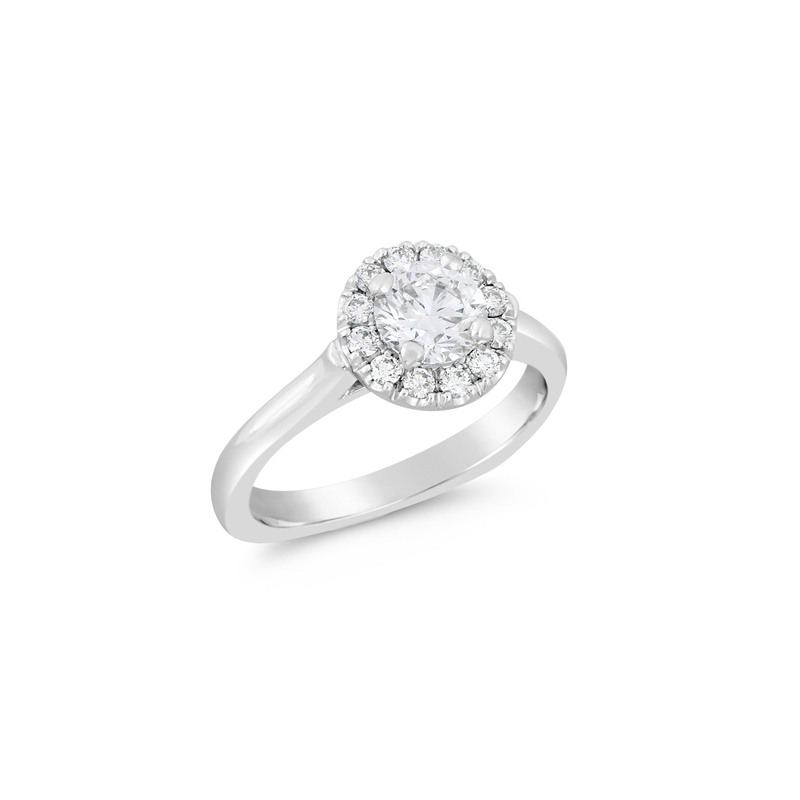 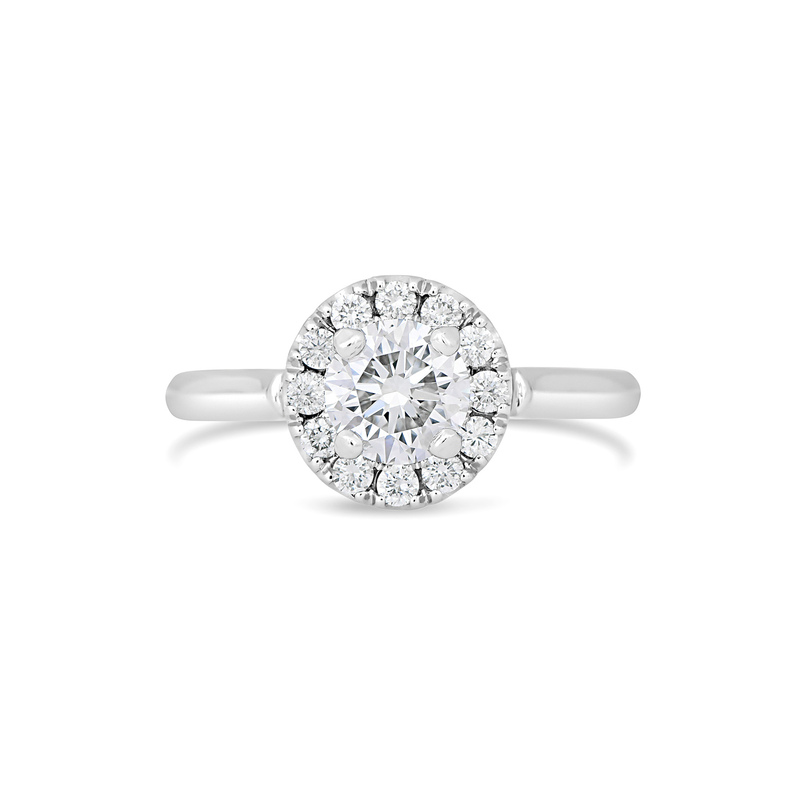 This style is set with a round diamond in 4 prongs and a half round plain shank. 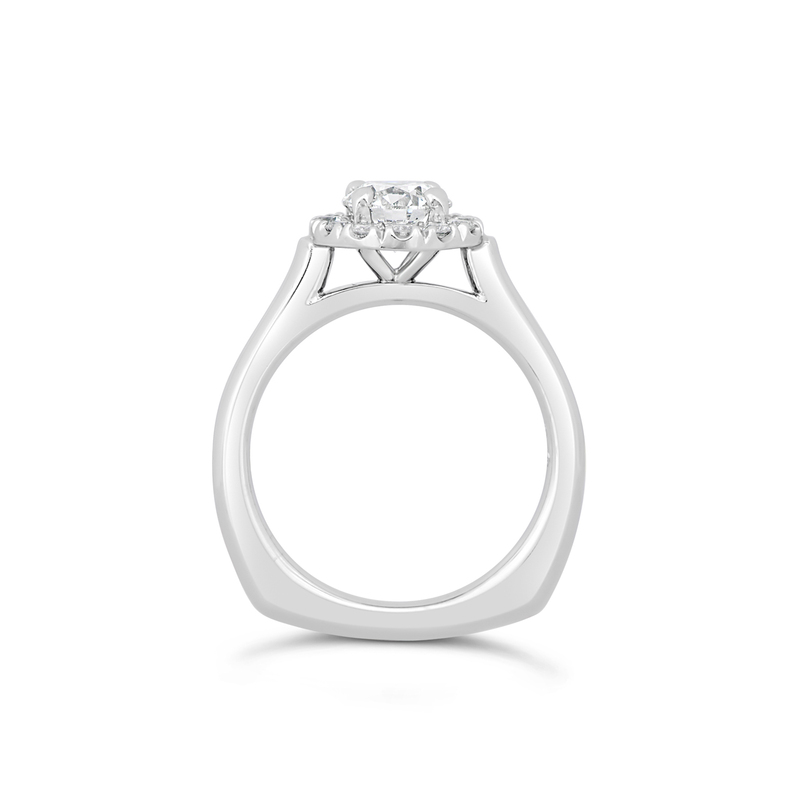 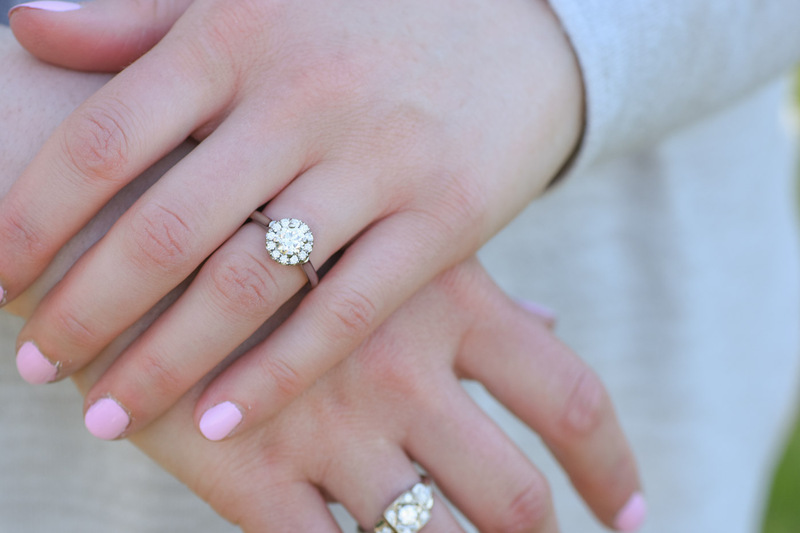 Our halos offer unique subtle differences such as the under gallery detail work and the ability to set the halo and prongs in platinum with the shank in 14k gold.